SamuriFerret and Metadept have been working on something really cool! 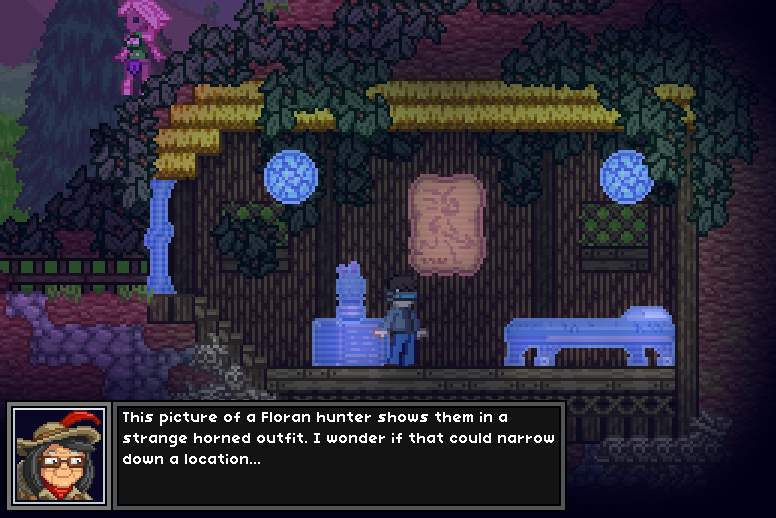 Here’s some insight into how Starbound’s main story questline will tie into the sandbox universe. 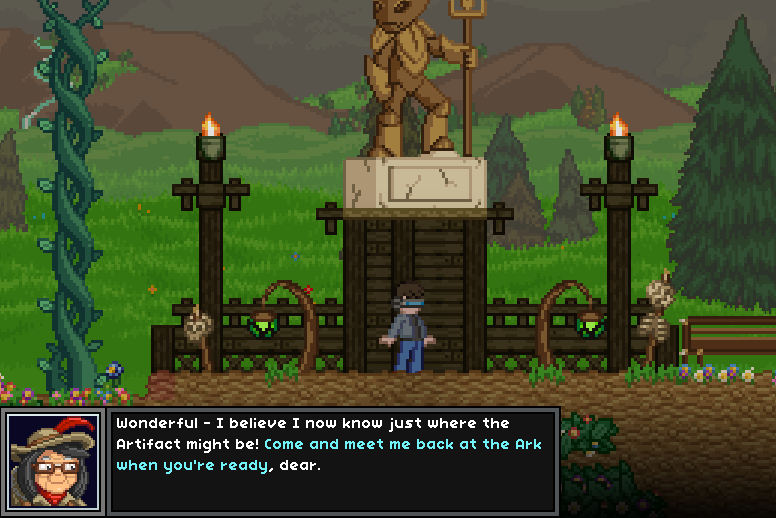 In the current stable build, accessing story missions is done by completing a series of quests, as well as showing the right citizens of the Outpost that you have the right tier of armour for a mission. 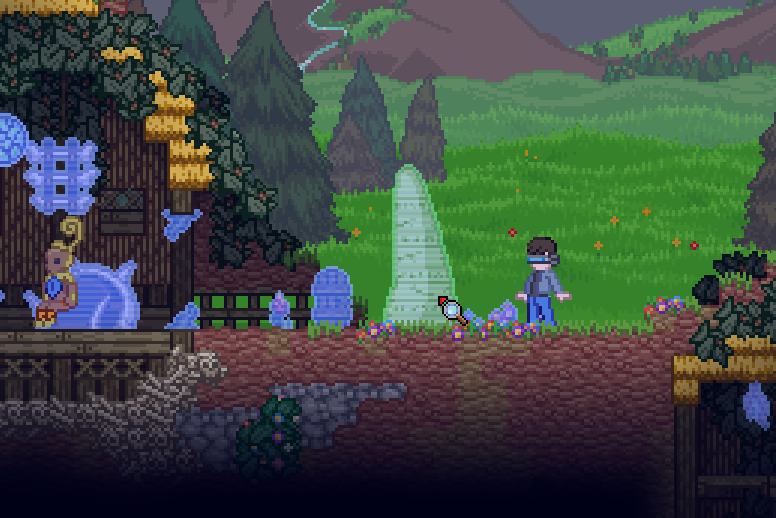 For 1.0, the storyline missions will be entirely seperate from your progression in crafting and building. So how does it work? Esther, unrivaled archaeologist and uncoverer of mysteries, is looking for an ancient relic. However, she doesn’t have all the information she needs to find where it is. That’s where you come in! 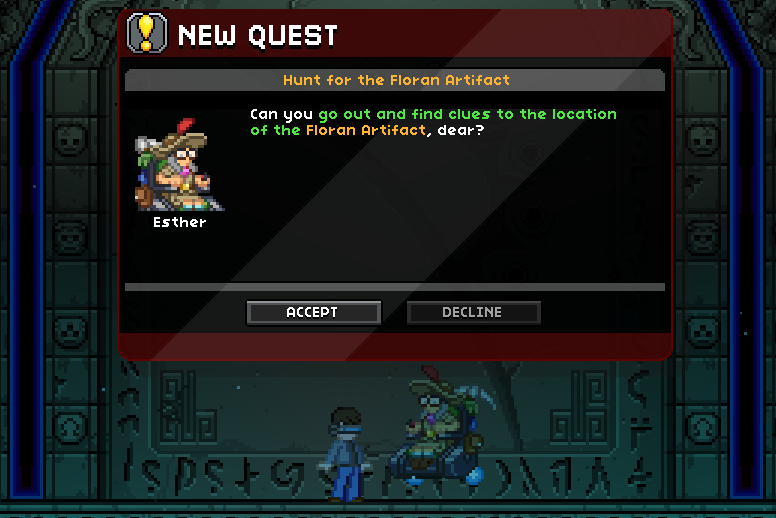 Using the inspect mode in villages, settlements and dungeons will show that some objects are highlighted differently – inspecting these will give Esther more information as to the location of the artifact! As well as this, scanning certain may actually be much more informative than others. Objects like this are much rarer, though. Better get exploring! When Esther has enough information, she’ll be able to determine the location and give you the co-ordinates. It’s entirely up to you how well equipped you are for the mission, so be prepared! For anyone who plays on the nightly build, you can check out this feature this week. Keep in mind that it is a work in progress, so elements of it will continue to change, as usual!